This report includes a summary of the profile of the organisation, how it copes with the participation of its stakeholders, what IZAR is today and what it wants to be in the future, its values, the most significant milestones of the last few years and its development plans. In an extensive, but visually attractive 84-page report, IZAR offers its stakeholders and society in general, all types of figures and information. From the results of customer and worker satisfaction surveys, to its balance sheet, including its organisational and government structure, not forgetting the actions and acknowledgements achieved in connection with its environment. 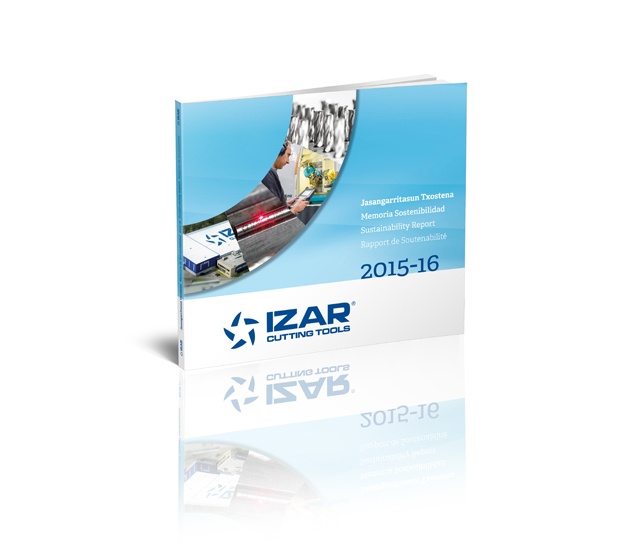 In short, we, at IZAR, are facing a new year of transparency. Now that the markets have experienced sustained growth for several years, it is time to not commit past errors again and to strengthen, more than ever, the relationship with customers and suppliers. Furthermore, IZAR wishes to make its workers proud, and rightly so, of belonging to a leading company, not only in the cutting tool market but also in the area of social responsibility.